This is a very caring place. The atmosphere is calm, and the doctor very knowledgeable. She will go above and beyond what would be considered very professional in treating your pet and thinking of new ways to help if the first treatment doesn't work. I adopted a rescue dog with a very difficult to treat ear infection, and Dr. Gerds' persistence and research helped us find a solution! 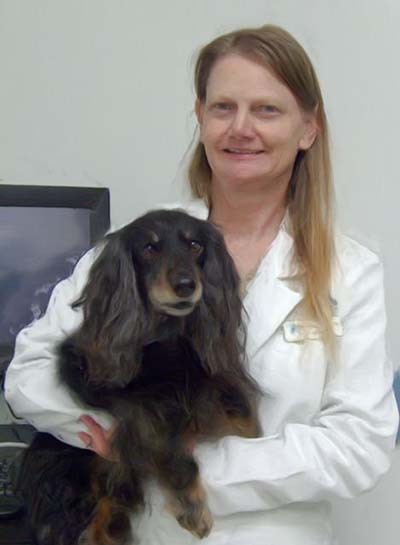 Dr. Pamela Gerds with "Scout"
After a career, working for others, Dr. Pamela Gerds dreamed of a pet hospital which "Practiced Pet Medicine Right," offering state-of-the-art veterinary pet health care & where clients were treated with honor, integrity & kindness. Her vision became Advanced Care Pet Hospital, devoted to practicing advanced veterinary medicine, where pets find health care comparable to their human companions. Pamela, a lifelong Minnesotan, received her Doctorate of Veterinary Medicine (DVM) from the University of Minnesota. She's practiced small animal veterinary medicine ever since. Dr. Gerds career began in Fergus Falls, MN where she was regularly on-call, frequently responding to emergencies day and night. She went to become Chief of Staff at a multi-doctor practice in Plymouth, MN, before opening Advanced Care. A career long member of both the American Veterinary Medical Association (AVMA) and the Minnesota Veterinary Medical Association (MVMA), Dr. Gerds regularly attends national conferences, bringing contemporary, up-to-date technologies into our practice. In 2016 she attended NAVC in San Diego, the AVMA 2014 Denver convention and the American Animal Hospital Association (AAHA) 2013 convention in Phoenix. 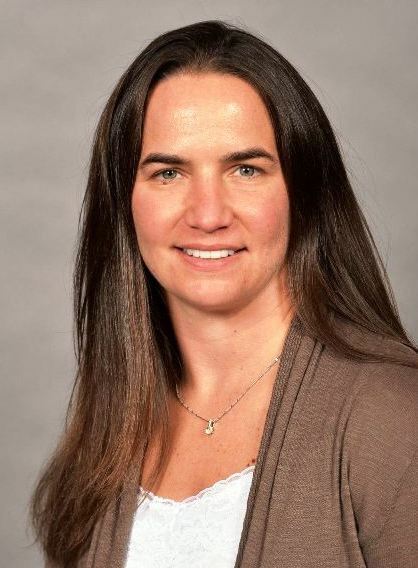 Dr. Amanda Craft, joined Advanced Care in 2017. Amanda Craft, DVM grew up in Little Falls, MN. She earned her degree in 2004 from the University of Minnesota. After working in the Twin Cities for 6 years she returned to Little Falls to care for pets until she joined Advanced Care Pet Hospital in June 2007. Amanda enjoys helping clients enjoy their pets and keeping them healthy. Her personal interests are knitting, quilting and spending time with her family - Randy and their 2 children. Advanced Care Pet Hospital received this video from Google & the National Association of Small Business Development Centers. Together they co-sponsored a 350 word essay contest, to help business owners recognize the assistance Google and the SBDC when launching their new businesses. Advanced Care opened in December of 2009. Our entry was one of 5 entries selected by Google to receive a video. The video was produced by Snippies in NYC.